The Mechanicsburg Public Library had an exciting summer. 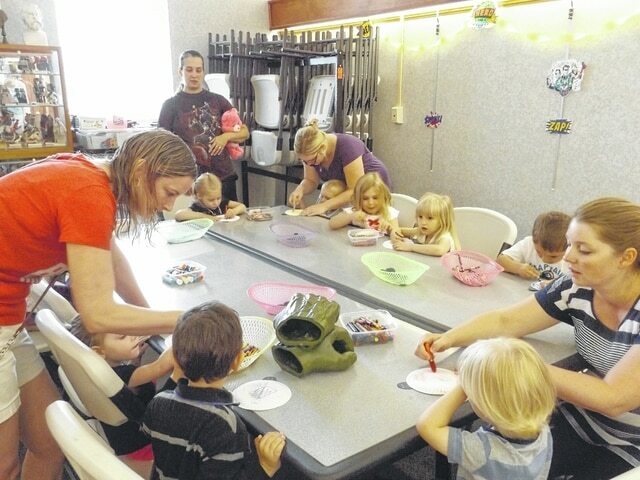 The library’s 2015 Summer Reading Program “Every Hero has a Story” allowed participants to have fun while combining super heroes with science activities, art, crafts and story time programs. Summer events are over, but there is still time for Summer Reading participants to finish their reading logs. Readers must deliver completed reading logs to the library by Aug. 29 to be eligible for reading rewards. https://www.urbanacitizen.com/wp-content/uploads/sites/36/2015/08/web1_Bugs-6-17-15-23.jpgThe Mechanicsburg Public Library had an exciting summer. The library’s 2015 Summer Reading Program “Every Hero has a Story” allowed participants to have fun while combining super heroes with science activities, art, crafts and story time programs. Summer events are over, but there is still time for Summer Reading participants to finish their reading logs. Readers must deliver completed reading logs to the library by Aug. 29 to be eligible for reading rewards.